The MKS is a large sedan derived from the Ford Taurus as a kind spiritual successor to the Taurus-based Continentals of the 90s. With more restrained styling than other recent Lincoln products, the MKS should appeal to buyers in the relatively conservative mid-sized luxury segment. 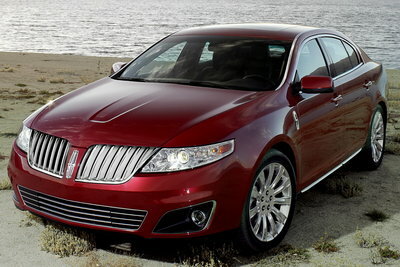 With prices starting at $38,000, the MKS competes with a wide swath of the luxury segment. In terms of size, the MKS is larger than most mid-sized luxury automobiles and roughly equivalent to the short-wheelbase models of flagship sedans like the BMW 7-Series, Lexus LS, and Audi A8. The spacious interior features a large instrument panel draped in leather and large leather seats. The standard 3.7L V6 produces over 270-bhp, which is more than enough to make the optional AWD worth considering.